Sailing the seas is a real passion for those that are drawn to the open waters but it is not without its challenges, which is why it makes sense to take advantage of some top apps that can help you to be constantly aware of current conditions. Here is a look at some apps that will appeal to sailors everywhere. There are details of weather and charting apps, plus a flexible map option and a way to keep an eye on marine traffic. There are several things that often need to combine in order to offer the perfect sailing opportunities, namely the importance of keeping an eye on the weather and also being able to chart a safe course for your vessel. If you download a good weather app you can gain access to real-time updates that give you good notice of current and changing temperatures plus advance warning of when poor conditions are likely to disrupt your plans. In terms of navigation and charting apps, there are plenty to choose from but the Navionics HD app is considered by many to be a market leader. The main feature that makes this app so popular with the sailing fraternity is the fact that it turns your phone into a chart plotter, so you can plan your passage before you leave and also use it on board as a viable alternative to a more expensive handheld plotter. Ovital Map is free to download and this cross-platform map browser supports offline views of Google maps plus satellite and terrain maps. 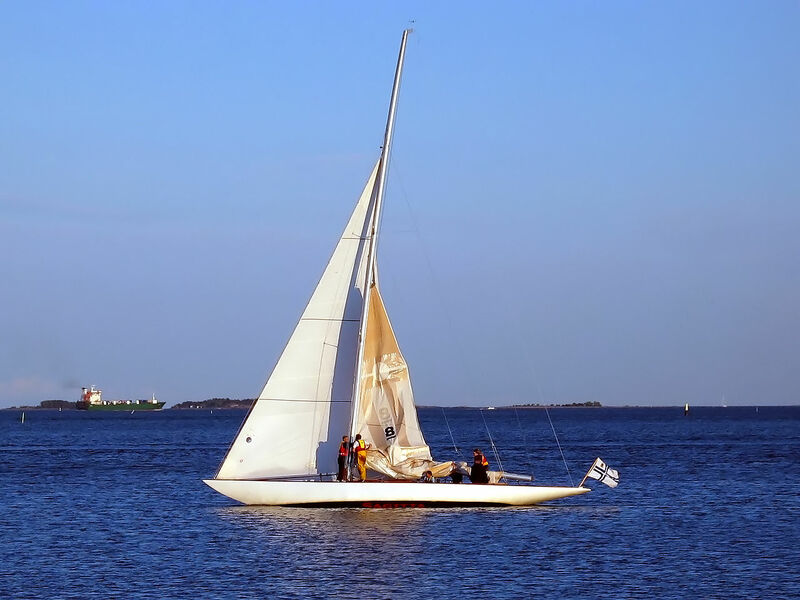 The fact that you can use topographic and global maps and take advantage of global voice navigation are just some of the reasons why this app is popular, plus you can share your location with friends to connect with fellow sailing fans. If you know your trigonometry inside out, you can probably comfortably calculate distances off your vessel. If you don’t have that intimate knowledge or simply want an easier way to work out how far an object is away from you, the Smart Measure Pro is a great tool to have on your phone and the software will do the trig calculations for you. You have to input certain information from your charts to get the data, but after that, the internal tilt sensors and built-in camera will get the angle and then give you the distance and bearing details that you need. There are some routes that can be very busy and if you are entering an area that is heavy on marine traffic you need to be vigilant and check where those shipping lanes are and what is traveling on them. The AIS MarineTraffic app would be a good companion when you enter those busy waters as it helps you identify harbor entrances and tells you what heavy shipping might be heading your way. If you have some of these apps on your phone as a sailing companion, it could make navigating the waters safer and a bit easier. Lewis Peters grew up by the ocean and comes from a long line of fishermen and sailors. Though he didn’t make this his line of work Lewis still enjoys sailing in his free time.